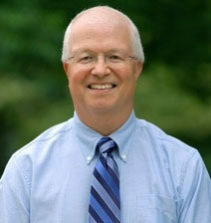 Scott Nelson earned a doctorate degree in Physiology and Biophysics from the University of Illinois at Chicago in 1990, and has held postdoctorate and research positions at the University of Iowa. In 1997, he decided to start his own computer consulting business. Soon after, The Mac Doctor was born. Scott is one of a small group of Apple Certified Support Professionals for Mac OS 10.5 in the state of Iowa. He is also an Adobe Certified Expert for Photoshop training. His clients have included the University of Iowa, Oral-B, ACT Inc., numerous local businesses and schools, and many private homes. Scott and his family have lived in Iowa City since 1990.